Having raised seven children, Helen and Peter were very happy and reasonably content with living and working in the south east of Melbourne. It was a conversation that Peter had with a friend that prompted the couple to consider visiting and investing in Broken Hill. Peter’s friend suggested that he could purchase a house in Broken Hill for a reasonable price with good rental return per week. Helen and Peter decided to travel to Broken Hill to investigate the investment opportunities and it wasn’t long before they took the plunge. After two years of purchasing properties they decided to relocate permanently to the Silver City. Now, sixteen years later, Helen and Peter are very busy maintaining their investment properties and renovating their own beautiful home, which includes a remarkable garden oasis that was once an old tennis court and now displays up to 40 fruit trees and more than 300 shrubs and flowers. When asked what their first impression of Broken Hill was, Peter suggested ‘it was an eye opener, something different to what I’ve ever seen before’. Peter remembers when they first settled in Broken Hill. Their neighbour, who they were yet to meet, placed their bins out for collection one morning. ‘You could live in Melbourne for years and not ever know your neighbours and yet in Broken Hill helping out your neighbours was just normal’ Peter explained. When living outside of Broken Hill, Helen would drive 100 kilometres to the city each day and it is fair to say that she doesn’t miss the commute and amount of time spent travelling. 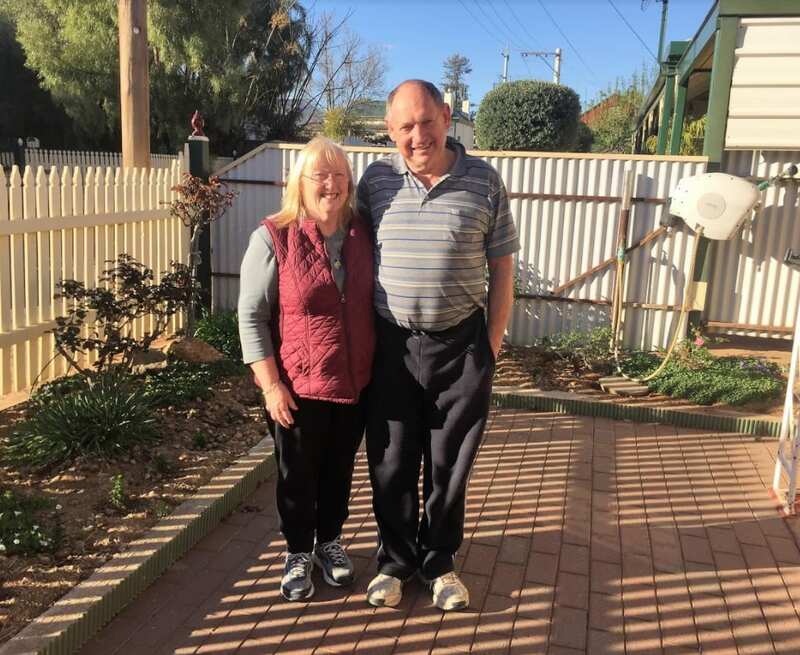 Living in Broken Hill has given the pair more time to enjoy the things that are important to them, for example, Peter has completed a term as the Chairman of the local Legacy club. When asked if distance was an issue for the couple, both Helen and Peter said that they could drive to Melbourne or Adelaide in less than a day and they quite enjoy the drive. When asked how they would describe Broken Hill, Peter said ‘it’s a unique town that has its own lovely lifestyle and huge opportunities within the community’. ‘I don’t think you would find a healthier lifestyle and a more enjoyable community of people than in Broken Hill, we’ve fallen in love with the place’ said Helen.